Click map image to see the full Community version. Only 6 Home Sites Left in Phase III! Our new model is currently under construction! It will feature an open concept floor plan with 3 bedrooms, 2 baths, a morning room, and a spacious great room with a gas fireplace and step ceiling. 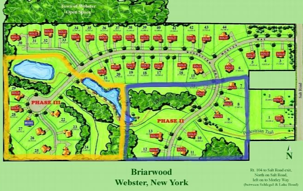 Briarwood Estates is an exciting new community in Webster, located on the left side of Salt Road, just south of Lake Road. Bordered on two sides by Webster Green Space, the land is a mix of rolling hills, mature trees, and sunny open spaces. The community has been designated a "Park District" with community ponds, a pedestrian trail, and maintained open spaces. It has characteristics of a nature preserve, with the convenience of close proximity to all of Webster's shopping and dining amenities. 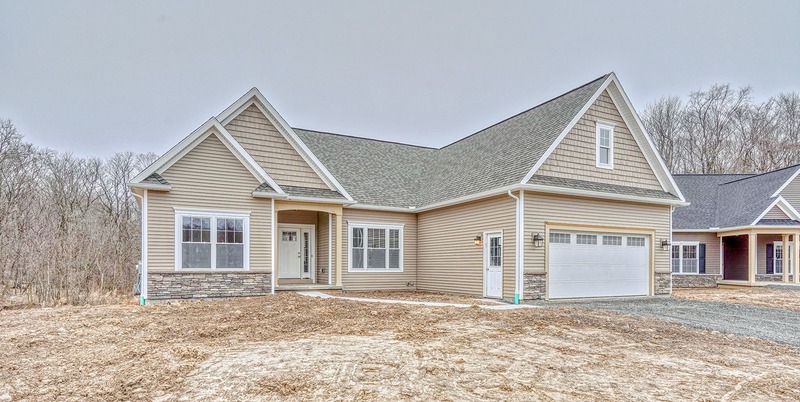 Ready to learn more about this Model Home or community?